Find out more about the roles in security here at Manchester Airport. 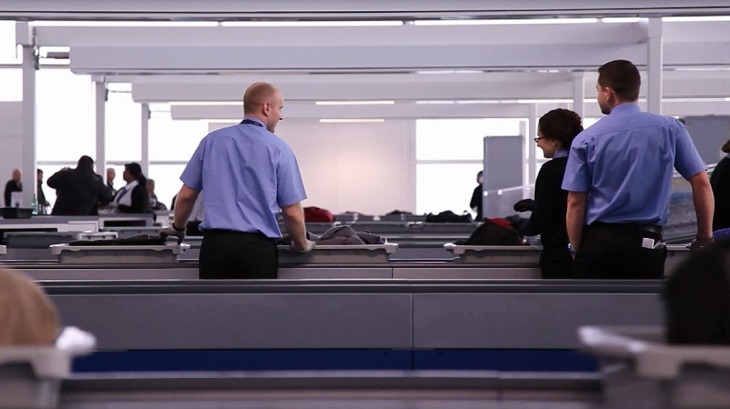 There is more to Security than meets the eye here at Manchester Airport, and to ensure the smooth running of our security operation we have several roles that play a pivotal part. We have an average of 580 flights a day from Manchester so as you can imagine whether it be Landside, Airside or out on the Airfield there are a number of colleagues working 24/7 to ensure the safety of our airport and guests. Officers across the security operation ensure the smooth transition of guests through the security area, making everyone feel welcome, while minimising the risk of any threat. We provide full training for these roles and while there is lots of learning, the team will ensure you develop the skills you need to be the best! Due to operational requirements and as our portfolio of airlines continues to evolve, we have an ongoing requirement for flexible, customer service driven individuals who pride themselves on providing first class service to our guests on their journey through the airport. From Security Ambassador to Airfield Duty Managers, the colleagues in all our security teams play their part and rely on and support one another, which is crucial to the operation. To access our airside operational areas, both customers and staff need to have clearance checks carried out. Everyone receives the same security checks whether they are looking to board their flight or staff members commencing their working day. Our Security Ambassadors are at the heart of the Security teams at MAG. Their main role is to host the entrance to security search areas, effectively preparing customers for presentation at the boarding card readers and x-rays. This requires taking ownership and managing numerous queues in and around the central search areas and prioritising any customers where appropriate. Once in the search areas, the Security Ambassadors will assist loading trays prior to customers going through x-ray. However, the most critical part of the Security Ambassador role is to ensure that everyone receives excellent customer service as they move through the security process in a safe and efficient manner. No two days are the same for our team of 1000+ Aviation Security Officers; from working autonomously on our Airfield to screening thousands of customers on our busy search areas. In these exciting roles you will be conducting hand searches of customers and their cabin luggage and dealing with a vast variety of travellers from business executives to families relocating to new horizons. Our teams always ensure that our customers are greeted with a smile and fly off on their travels with a feeling of being in safe hands. Patrolling our terminals is also a key responsibility of our Aviation Security Officer; this can be conducted by driving outside on our airfield to walking through our airport buildings and checking every single access point, so if you love spending time on your feet you’ll enjoy this part of the role. Part of your shift can also entail operating high-tech security equipment such as X-Ray machines and body scanners, so our Officers must also have great attention to detail, even on a 3am shift start! It is doubtful that you would ever have the relevant security experience for our roles unless you have previously worked at an airport, so a complex training programme has been designed for all our colleagues to ensure they are equipped with the knowledge, skills and confidence required to carry out this vital role. Enthusiasm, a pro-active attitude and an ability to deliver first-class customer service is all we ask you for, MAG will supply the rest! A Security Performance Leader’s role is predominantly based within the security search areas setting the right example in the way security duties are performed whilst driving team performance to exceed customer expectations. The Security Performance Leader will also manage daily resource plans, monitor and test the security equipment and will be there as a point of contact for challenges. Many Aviation Security Officers choose this role as a next step in their career however no previous experience is required, just demonstrable leadership skills and the ability to inspire others to contribute their best. The Security Duty Manager is responsible for ensuring that the security operation is run compliantly and that colleagues are providing first-class customer service to all our guests. Innovative thinking is essential in this role, as operational processes and procedures are constantly reviewed and any changes need to be implemented in a way that does not disrupt daily operations. You will need to be switched on and a step ahead at all times! The Terminal Duty Manager is responsible for ensuring that services provided by the Customer Service teams to the airport customers, meets and exceeds all legislative government body requirements. They will also act as the Senior Threat Assessor so that the safety of the general public, colleagues and 3rd party stakeholders is maintained. The Terminal Duty Manager is fully conversant with all operational contingencies and will manage and coordinate all Manchester Airport operations in the event of major incidents and emergency situations. Our Airfield Security Officers undertake a variety of responsibilities out on the Airfield alongside the planes! This includes patrols of the runway by foot or vehicle, operating x-ray equipment and other screening devices and carrying out mobile x-rays when needed. While other duties are similar to the Airport Security Officer role, at times you will be expected to carry out searches for staff, aircraft, buildings and vehicles. This role can be a natural progression for our officers who have been working in the terminal and now want to explore the external airport security operation.